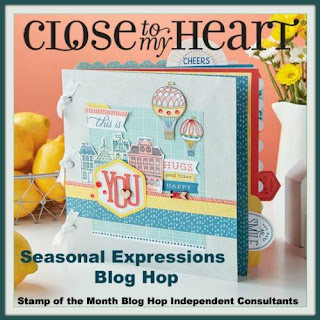 Have you had a chance to check out our newest Seasonal Expressions? Today our blog hoppers are featuring products from this new book! This hop will be fun. I can't wait to see what everyone has created. If you came here from Jean McNulty's blog, you are on the right track! The hop is a big circle so when you get back to me, you will know you have visited everyone's blog! In case you get lost you can find the entire list of hoppers HERE. The Beautiful Friendship Scrapbooking Stamp has a base and shade flower image. To stamp the flowers evenly across, I drew a line at the 6" mark and then stamped the large base flower with Bashful ink overlapping the line. I filled in the spaced with the smaller flowers. I used Smoothie Ink for the shade image on the flowers. 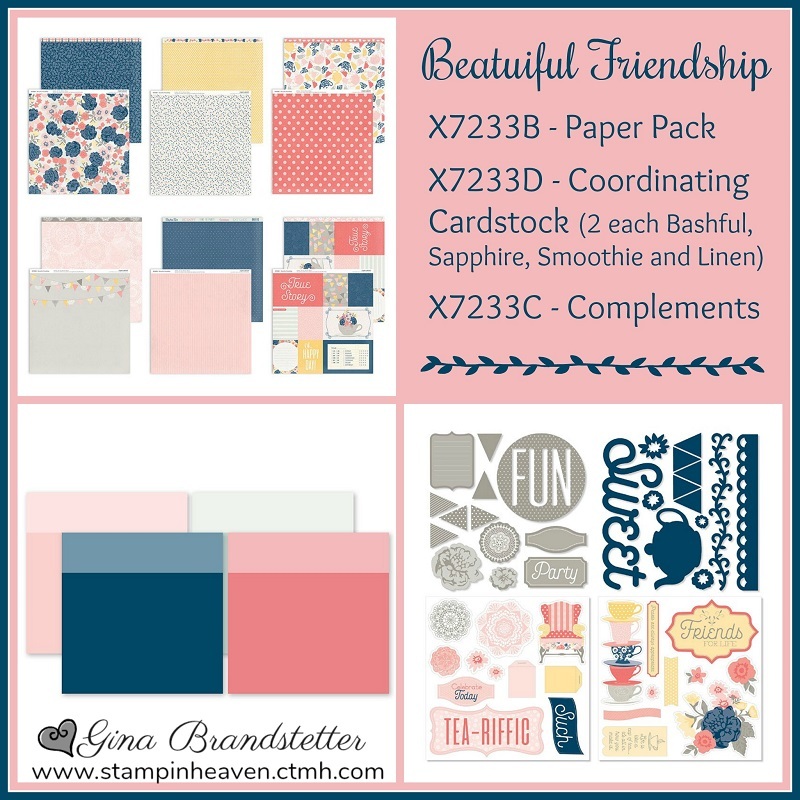 I added the 4x6 PML card from the paper pack - "True Story" and also a 3x4 PML card for journaling. 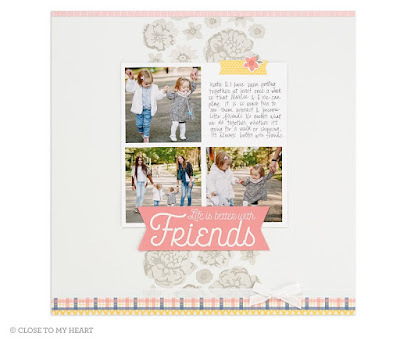 Now it is time to hop over to Alyson Mayo's Blog and see what she has created! Love it! I love the stamping right on the page! Gorgeous! I love your version! This is so pretty - love this stamp set and all the possibilities I have seen with it! Love the stamped flowers under the strip of photos...and that chair...MY FAVE! Really pretty layout! 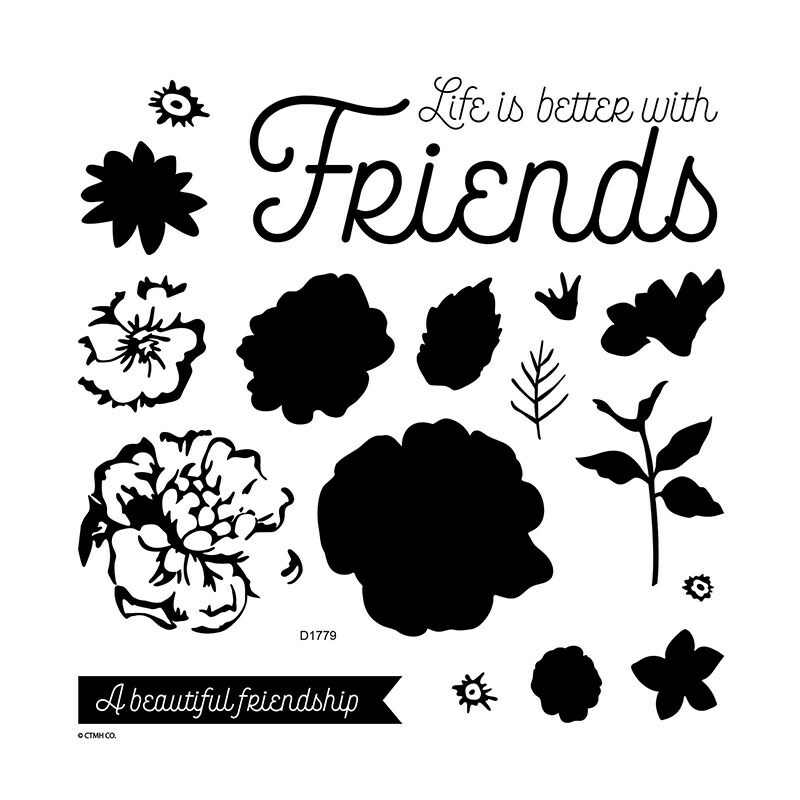 I love all your stamped flowers!